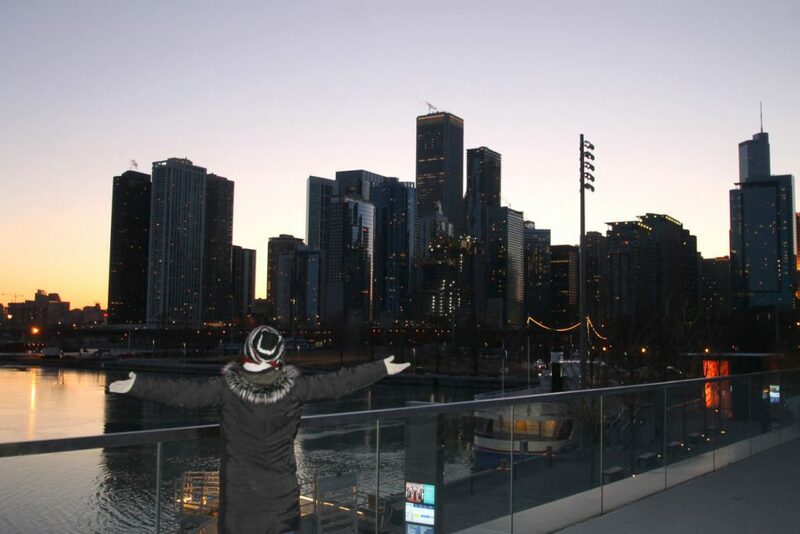 There is so much to do or see in Chicago, Illinois, USA that you could easily spend a week there. However, getting away for a whole week can sometimes be hard. 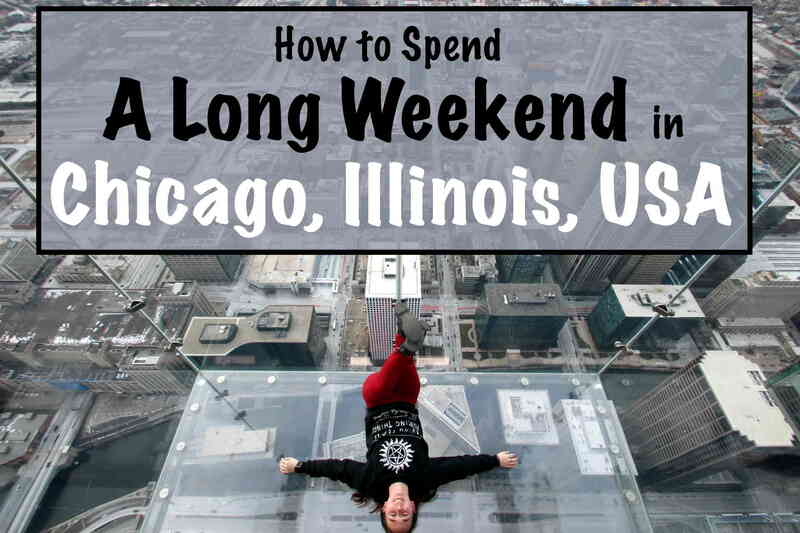 If you’ve got a long weekend to spend traveling, check out this 4-day Chicago itinerary! Disclaimer: This post contains affiliate links. Find more information about affiliate links on our policy page. It’s worth noting that you can get a prepaid ticket booklet called the Chicago CityPASS which gives you access to several of Chicago’s main attractions for a cheaper price than if you paid for each of the tickets individually. 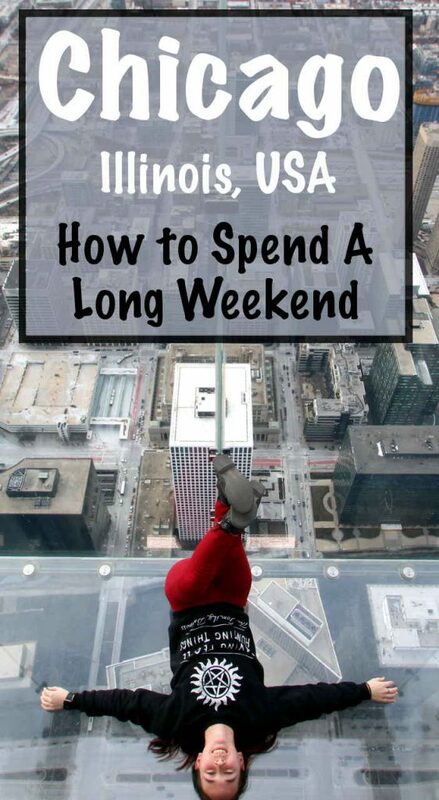 Although I don’t recommend it for this Chicago itinerary (because you wouldn’t get your money’s worth), it’s something to keep in mind if you plan on deviating from my itinerary or have more than four days to spend there. If you are thinking about visiting a majority of the major attractions in Chicago, the Chicago CityPASS could save you a decent amount of money, plus it has some extra benefits for some of the attractions like being able to skip general admission lines. You can find more information about the Chicago CityPASS on their website. Whether you’re flying or driving into Chicago, arrive early in the morning or later in the day, I highly recommend spending a day just wandering around downtown. 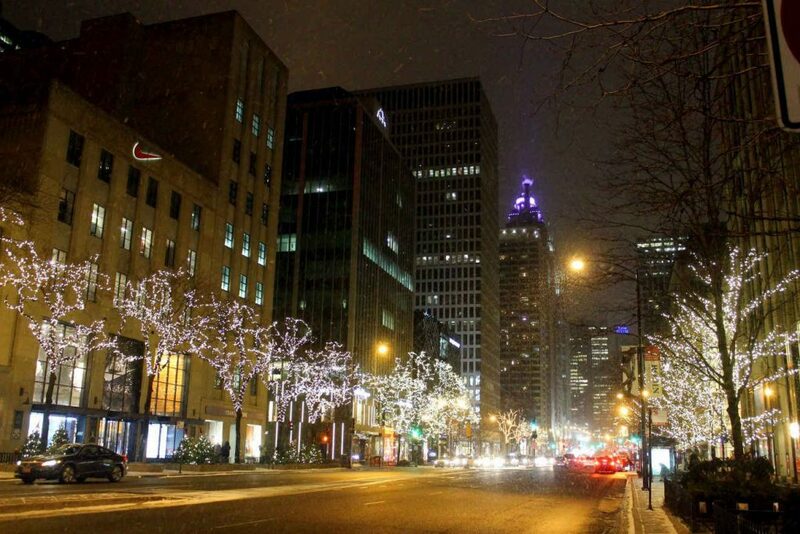 Michigan Ave. also referred to as the “Magnificent Mile” is the major shopping district of downtown Chicago. It has all sorts of stores such as UGG, Forever 21, Nike, H&M, Addidas, Marshalls, Zara, and more. 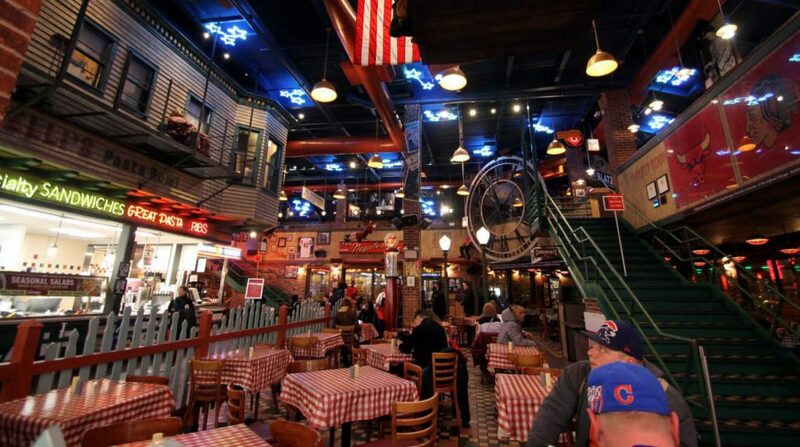 The area surrounding the magnificent mile is filled with every restaurant under the sun, Italian restaurants, pizza shops, steakhouses, and any other type of restaurant you can think of. 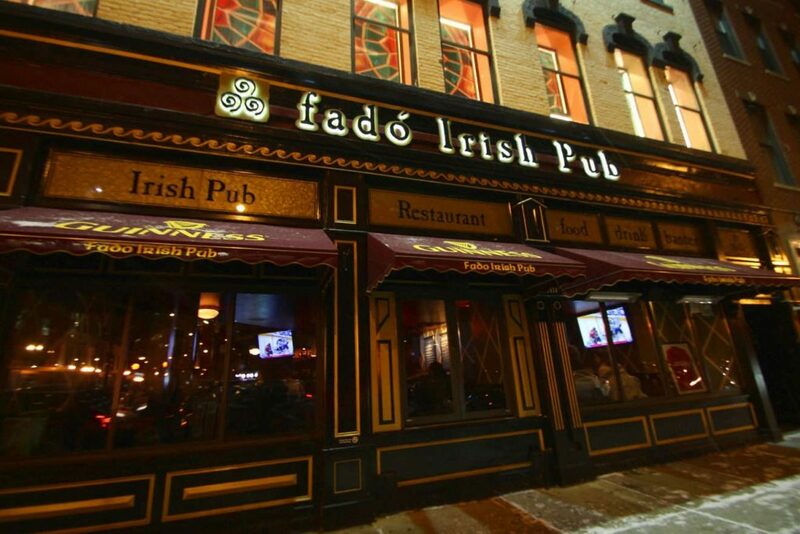 My boyfriend and I particularly enjoyed Fado Irish Pub, simply for the atmosphere (and of course the drinks). My favorite part was actually listening to Aaron Wilhoft perform live on Friday nights. If he happens to not be there when you visit Chicago, you can see what you missed on his website. Every Chicago itinerary needs to include a stop at The Cloud Gate, nicknamed “The Bean” for its shape, in Millennium Park. I’ll admit that when my boyfriend first mentioned that he really wanted to go to The Bean, I didn’t understand what the hype was. However, it actually turned out to be pretty cool. 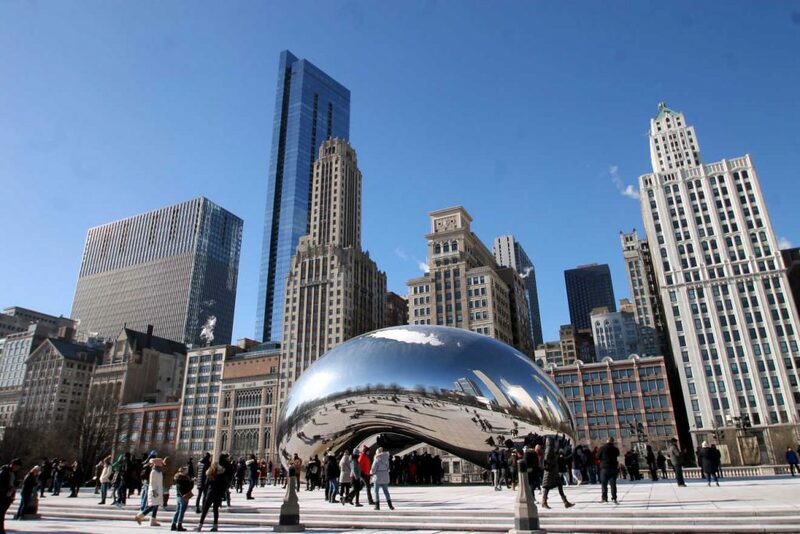 It’s made of stainless steel, meaning you can not only see your own reflection in the bean, but also the reflection of the entire city behind it. It’s unique shape makes for some unique distortions and cool pictures. 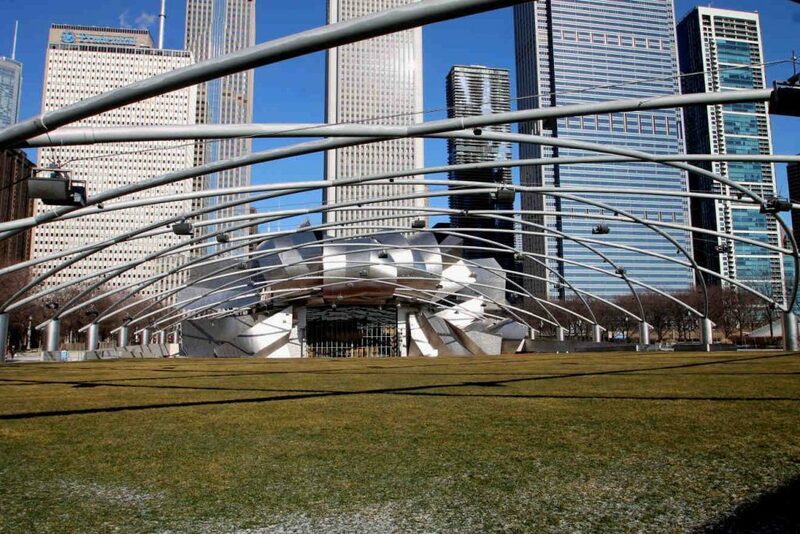 While you’re in Millennium Park, consider stopping over at the Jay Pritzker Pavilion to see its cool architecture. 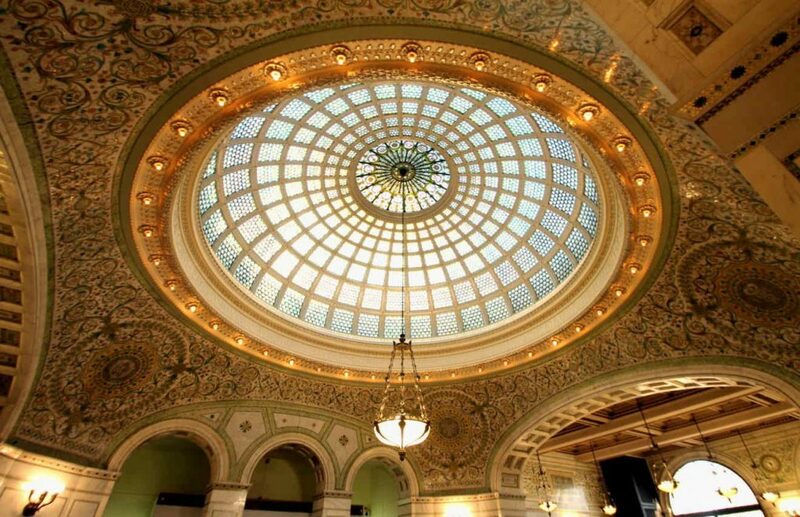 The Chicago Cultural Center is an arts and culture center used to host many free public events. Even if there aren’t any events going on at the Cultural Center when you visit, I still highly recommend stopping by. It’s detailed architecture makes it a beautiful place to walk around. 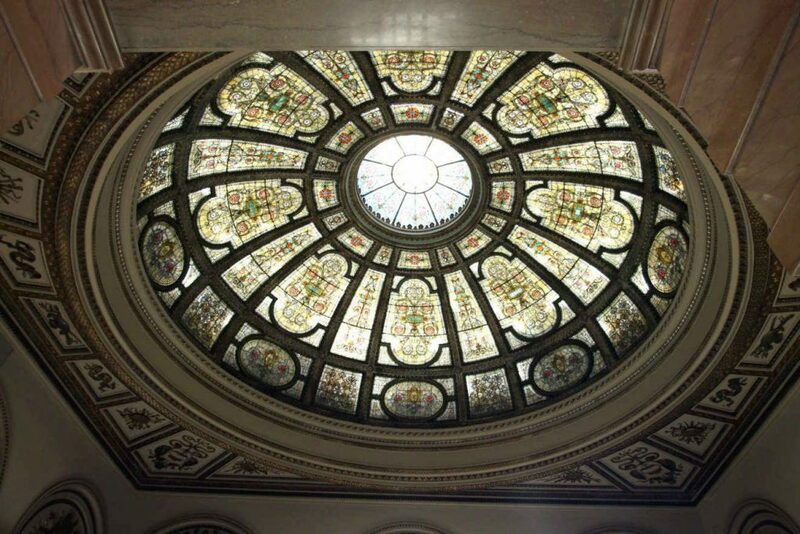 The main architectural features are probably its two large domes, one on the north side of the building and one on the south side. 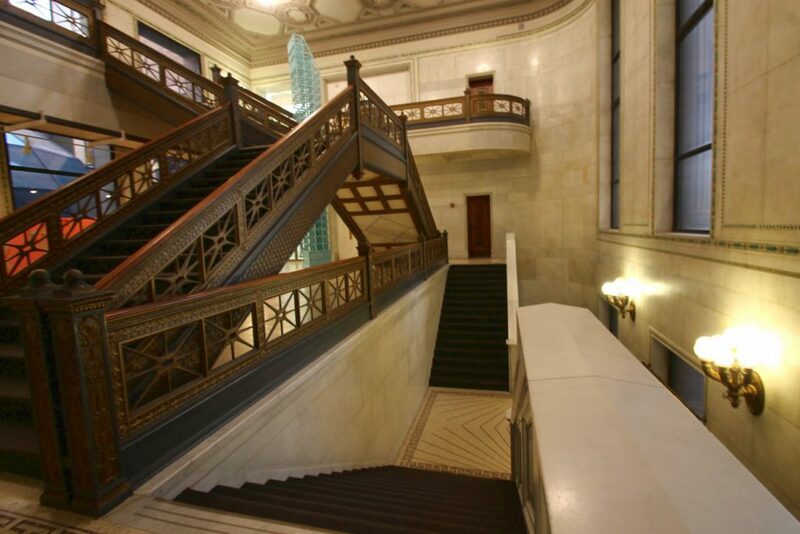 The John Hancock Center is full of various activities and fun. However, the main attraction I recommend visiting is the observatory on the 94th floor called 360 Chicago. If you have the money and the time, If you didn’t get the Chicago CityPASS, I recommend getting the sun and stars pass, which allows you to visit the observatory twice within 48 hours. This way, you can appreciate the cityscape and the way the city lights up at night. The main feature of 360 Chicago is The Tilt. Its a “ride” that tilts you 30 degrees out over the city. 30 degrees may not seem like much, but when you’re being leaned out of the city, it certainly feels like quite a bit. The great thing about it is that you can step back off the tilt at any time if you get scared or uncomfortable. The Chicago River cuts right through the middle of downtown. The riverwalk was design to allowed the public access to the river and give visitors a unique view of the city. No matter the season, the riverwalk is a great place to visit. However, if you visit during the summer, you can maybe even catch a concert or take an architecture boat tour (one of the top rated activities in Chicago). You can find more things to do along the river here. Get tickets for the Chicago River Architecture Cruise in advance from Viator or Get Your Guide! 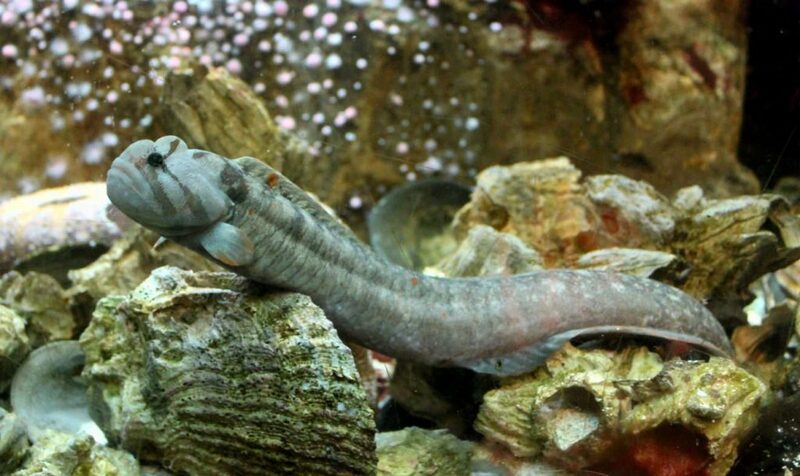 Shedd aquarium was at one point in time the world’s largest indoor aquarium and the most visited aquarium in the United States. 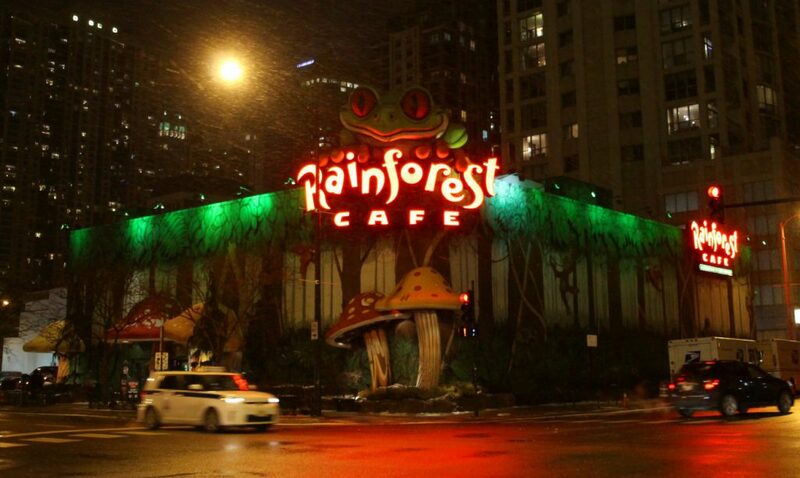 While it no longer holds those records, it is still one of the most visited cultural attractions in Chicago. While I’m no fish fanatic (after a while, fish are just fish to me), Shedd aquarium always seemed to have something spectacular to catch my attention. 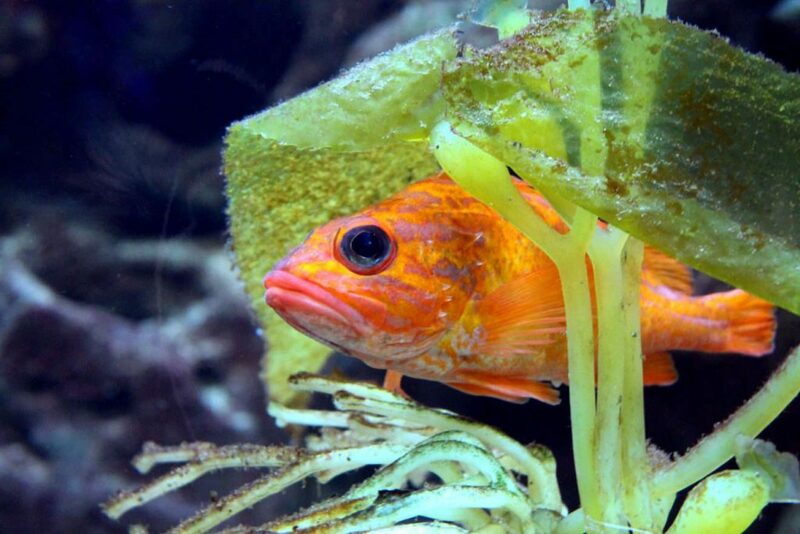 The aquarium was separated into sections, each section featuring a different part of the world. 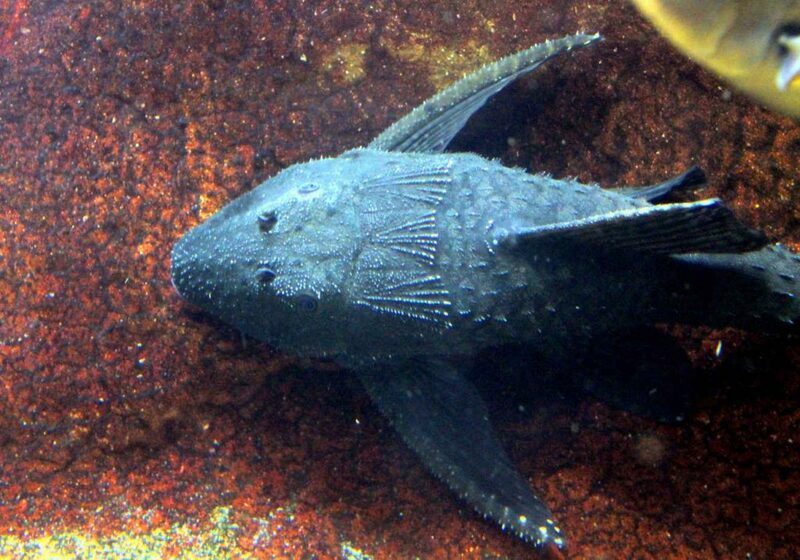 The fish in each section were the fish that could be found in that part of the world. 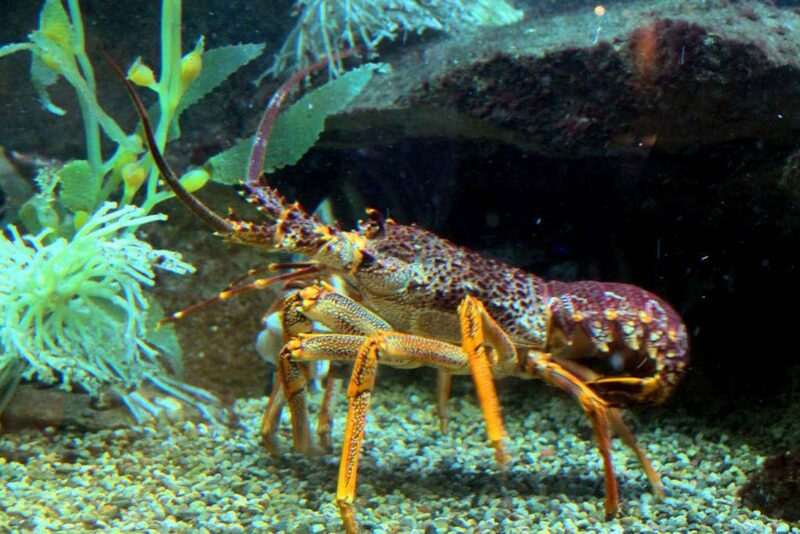 The aquarium has several educational shows throughout the day as well, where you can learn about various animals such as dolphins, sea lions, penguins, and more while watching them do cool tricks. 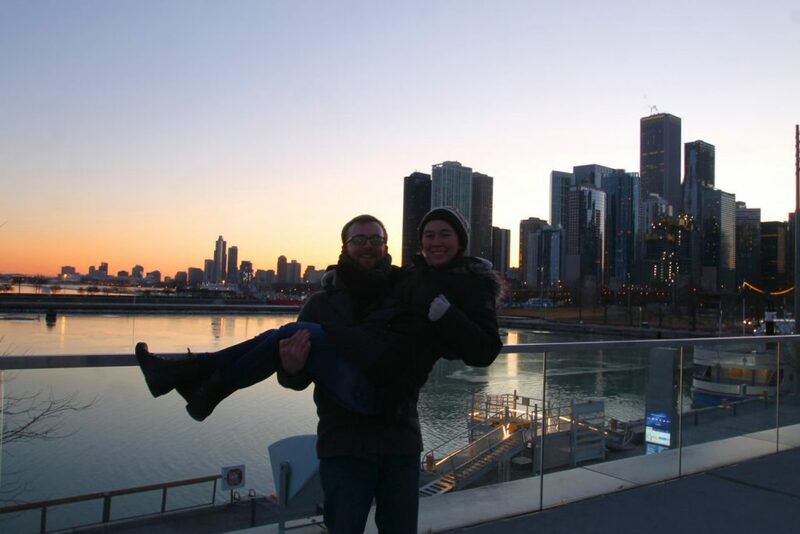 My boyfriend and I easily spent three hours at the Shedd aquarium. 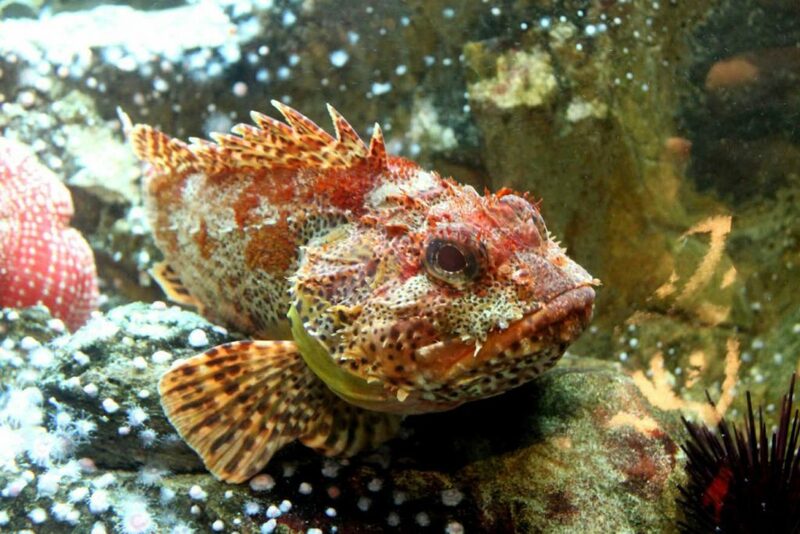 However, if you plan on visiting the aquarium with little ones, I suggest planning on spending a majority of the day there. 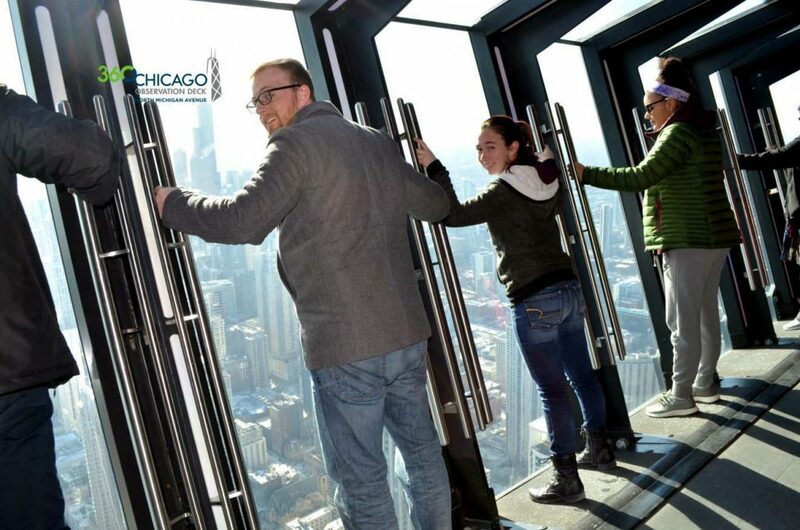 In the evening, head over to Chicago’s other popular observatory, the Chicago Skydeck in Willis Tower (previously named the Sears Tower). 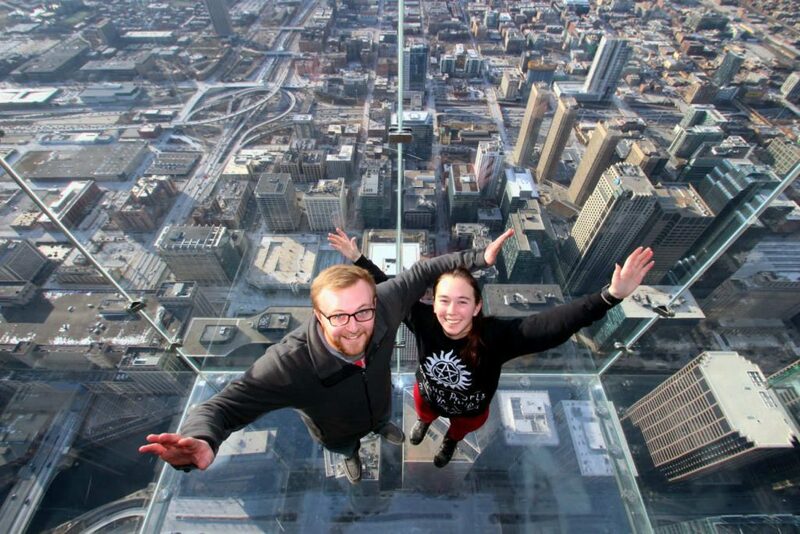 While 360 Chicago is famous for their Tilt, Skydeck Chicago is known for The Ledge. It’s a glass box that sticks out from the side of the building, literally allowing you to step out onto the city. 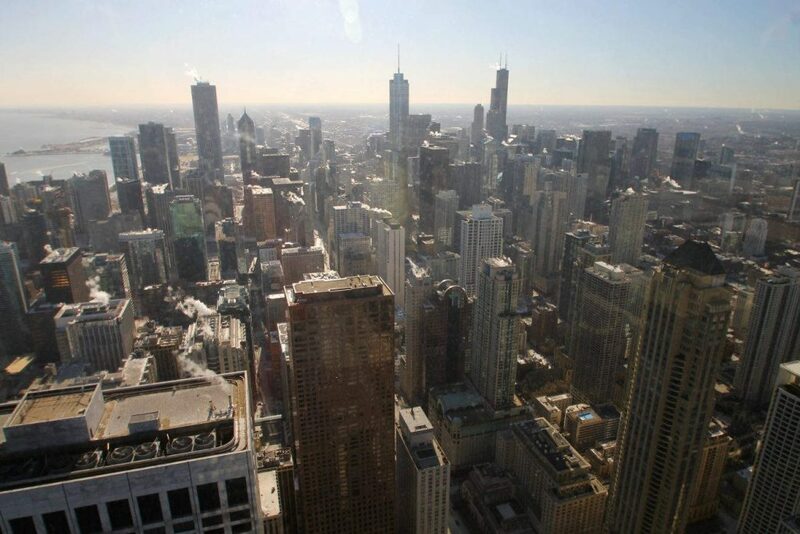 Personally, I liked the views from 360 Chicago better, but I thought the Ledge was a cooler experience. I’d have a hard time recommending one observatory over the other, which is why both of them made it into my recommended itinerary. 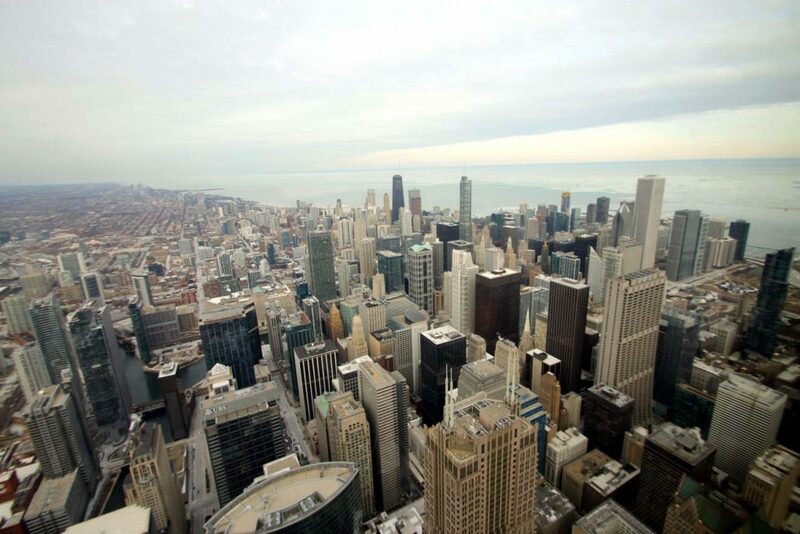 If you have to choose, you can check out this comparison between Skydeck Chicago and 360 Chicago. 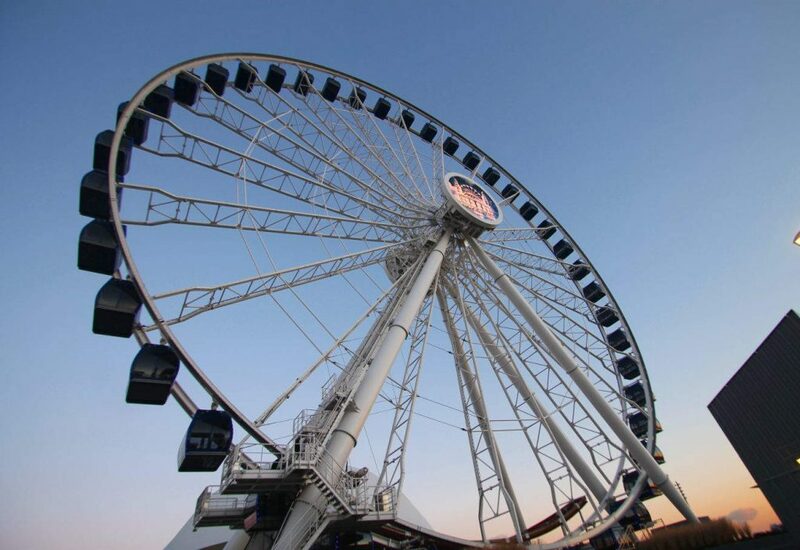 Probably the most iconic part of Navy Pier is the Centennial Wheel, a large ferris wheel. It’s open year round, weather permitting. Towards the end of the pier, you can also get a really good view of the city. It also holds several free events from time to time, so make sure to check the calendar before you go. 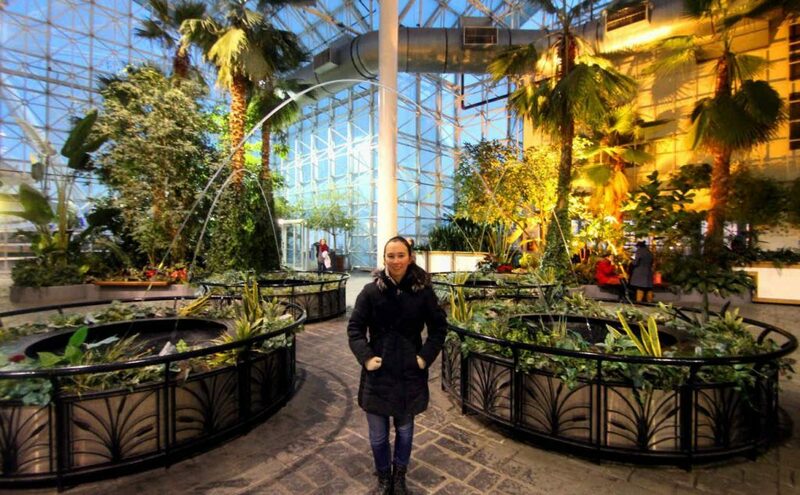 Crystal Gardens is actually a wedding venue, but part of it is open to the public to explore if there aren’t any events going on. 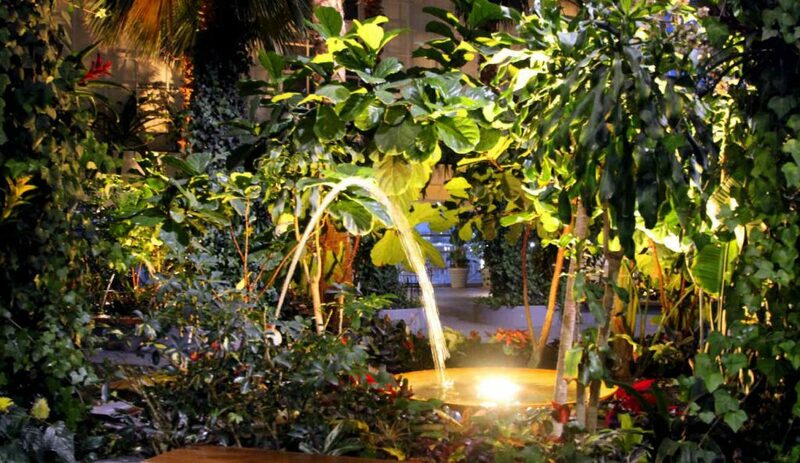 The gardens is entirely inside, so even if you go to Chicago in the winter, you can enjoy the gardens. 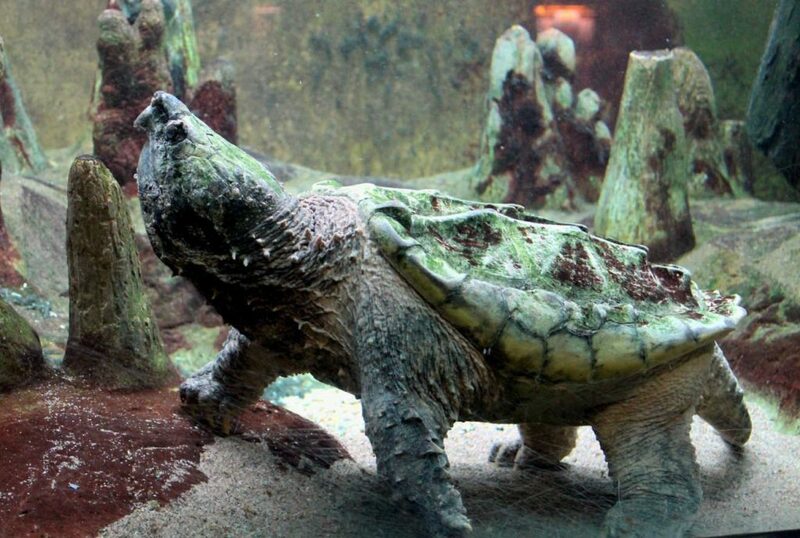 It’s most known for its “leapfrog” fountains, where water periodically “jumps” into several of the ponds. Chicago has a relatively extensive public transit system called the Chicago Transit Authority or CTA, and is probably the cheapest way to get around the city. Personally, I don’t recommend driving in the city as it’s not always easy to find parking and you will most likely end up paying $10 – $35 USD every time you need to park. Of course, you could also use a ride share system like Uber or Lyft if you don’t feel like dealing with the hassle of the public transit system, but it will be a bit more expensive. As of June 8th, 2018, a single bus ride costs $2.25 USD (regardless of distance). Uber’s website estimates that a ride from Chicago Cultural Center to the John Hancock Center would be $5.62 USD. If you decide to use the public transit system for a majority of your trip, I recommend picking up a Chicago Ventra Card. It is a reloadable charge card that you can use for riding the bus, train, and subway. You can purchase these online in advance from their website or buy one from one of their retailers. 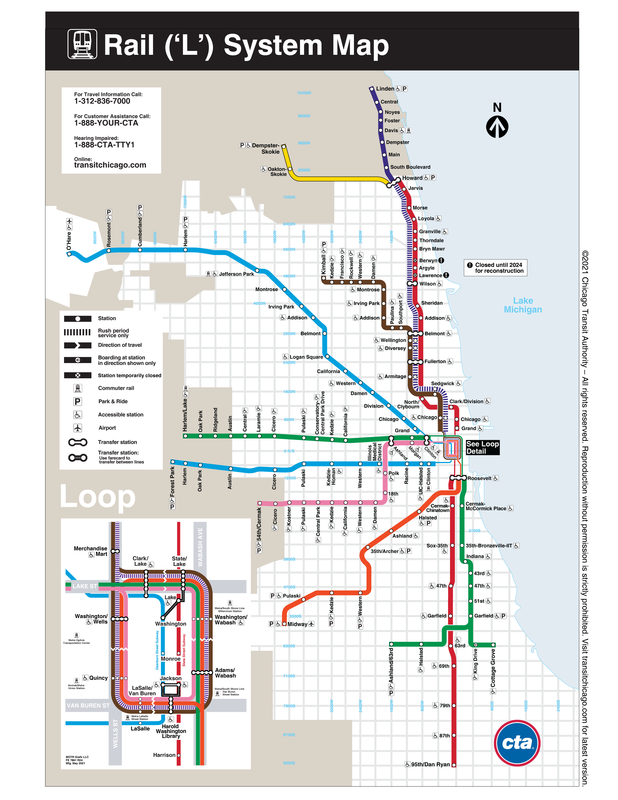 Maps of the Rail (‘L’) System can be found on the CTA website. You can also use the Plan A Trip section of their website to figure out the best bus or rail line to get you where you need to go. 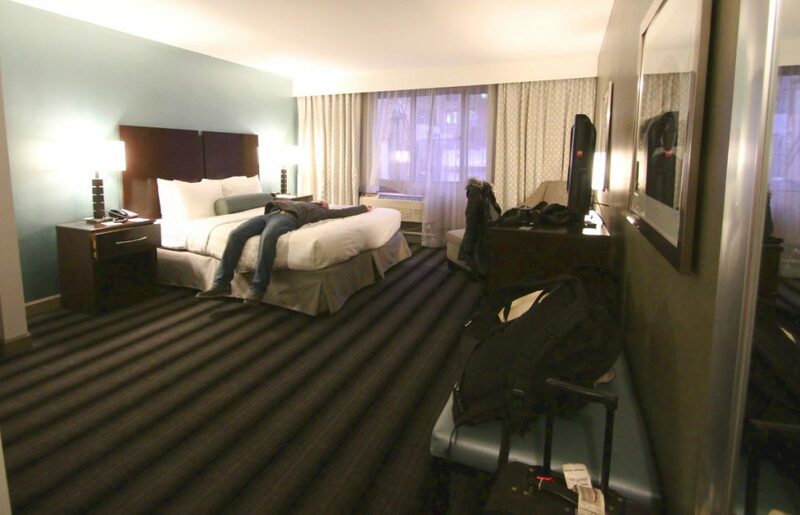 My boyfriend and I chose to stay at Best Western River North Hotel because we felt like it was a good middle of the road option. Since we were only going to be in Chicago for a few days, we knew that we likely wouldn’t be spending a whole lot of time in our hotel. We didn’t want to stay at a really fancy hotel that we wouldn’t be able to appreciate. However, because we were limited on time, we wanted to stay in or close to downtown for easy access to all our destinations. The other thing we had to keep in the back of our mind was parking rates (since we drove to Chicago). One hotel we looked at was only charging $80 USD a night for a room, but also charged $60 USD a night for parking. As of June 8th, 2018, Best Western River North only charges $25 USD a night for parking (which is MUCH cheaper than most other hotels in the area). 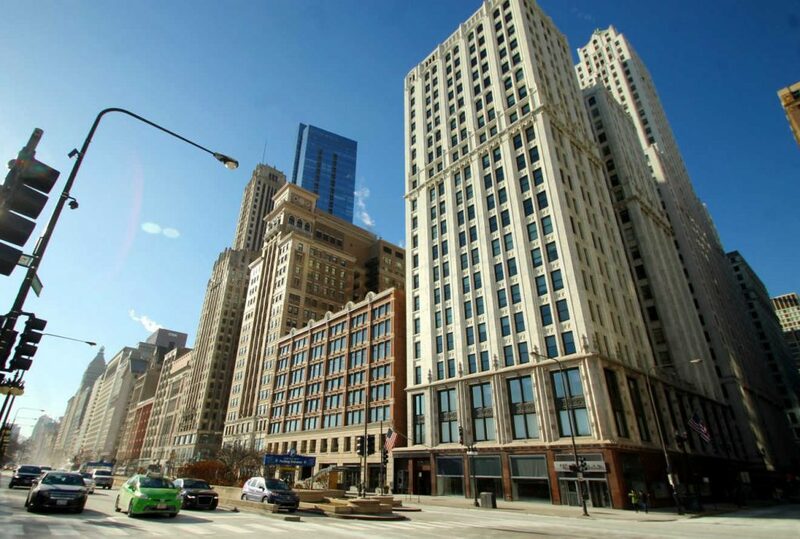 Best Western River North isn’t located on the Magnificent Mile (the main street that runs through the middle of downtown), but it is just a few blocks away. Plus, it’s only about a 5 minute walk to the nearest subway station entrance. It is also surrounded by lots of fantastic restaurants and bars which make for great hang-out spots once you’re done sightseeing for the day. Get more information about Best Western River North Hotel and book your stay at Booking.com! Wondering what to bring on your trip? The answer to that question will likely depend on when you go since Chicago experiences all four seasons. When we went in January, it hovered around 22°F ( -5°C ) and snowed most of the trip. During the summer, the high temperature for the day can range from high 70’s to low 90’s (around 25 to 34 Celsius). In the spring and fall, you’ll find that it will get warmer during the day, up into the low 70’s (around 22°C), but colder at night, often times in the 50’s (around 12°C). 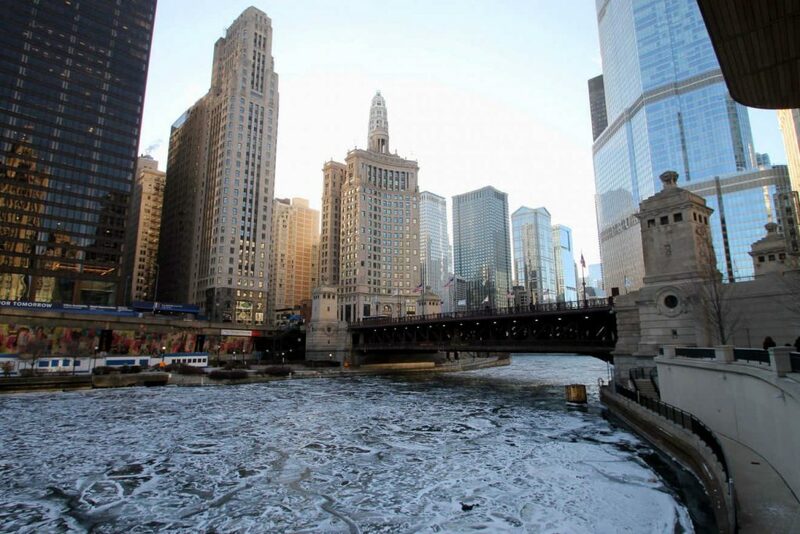 During the winter, it can get pretty cold, and is often times made worse by the “wind tunnel” effect created by all the tall buildings. For most of my long weekend in Chicago, I wore a winter coat, winter hat, gloves, a thick scarf, and winter boots. I also typically wore a a long sleeve shirt and heavy sweater underneath my coat as well as leggings underneath my jeans. On the other hand, my boyfriend walked around most of the weekend in just a long sleeve shirt, sweater, scarf, and jeans. 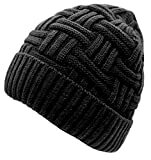 If you’re used to cold weather, you could probably get away with just jeans, a shirt, and a winter coat, but if you’re used to warm weather (or you’re like me who is always cold no matter the weather or time of year), you’ll definitely want to bring some thick clothing, hats, scarves, and gloves. 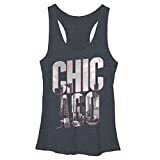 Summer can get pretty hot, and thankfully Chicago has a pretty casual style, so you can definitely get away with wearing shorts and tank tops every day. Since Chicago is right on Lake Michigan, you may also want to bring a swimsuit in case you want to go swimming. Sunscreen is also a must since you will likely be outside quite a bit. If you happen to visit Chicago in the spring or autumn, layering will be your best friend. If possible, consider wearing a tank top under a long sleeve shirt, this way you’ll be warm in the morning and evening when it’s a bit cooler, but you can shed the long sleeves around mid-day when it gets warm. I’d also bring a light jacket, especially if you plan on being out until late. A mix of pants and shorts would also be a good idea. Dress or Shirt and Tie: Chicago has a great food scene and some really fancy restaurants. If you plan on having a nice dinner somewhere, I’d bring some nice dress clothes, regardless of the season. Phone and Charger: Because who leaves home without them? Good Camera: Chicago has some incredible architecture, and the John Hancock Center and Willis Tower, provide some spectacular views of the city. While your phone’s camera will take some good pictures, I highly recommend bringing a DSLR camera and wide angle lense. Purse or Book Bag: To carry everything you need to bring with you (phone, portable battery, snacks, etc) or might acquire throughout the day (like souvenirs). I had extra space in my camera bag, so I just let that double as my day pack. Umbrella (optional): I’d check the weather a few days before you leave. If the weather calls for a decent amount of rain, then I’d see if you can fit a small umbrella inside your suitcase. Otherwise, I’d leave the umbrella behind. Worse case scenario, you can pick up a cheap one from the local convenience store once you arrive. And that’s it for Chicago! What do you think of this 4-day Chicago itinerary? Ever been to some of the places I recommended? Anything you think should be included in this itinerary? Let me know in the comments below! Are you ready to start planning your trip to Chicago, Illinois? Get a FREE copy of A Dreamer’s Guide to Trip Planning to get started! Looking for more Chicago travel inspiration? Looks fun! I don’t know if I will have the courage to get on the Willis tower but the view is amazing! I always imagined Chicago to be a cold city but it looks like I was wrong! Thanks for sharing! It definitely can take some courage to step out there, but it’s definitely a cool, “Look what I did!” experience if you can work up to it! Chicago is my favorite US major city. I never get tired of visiting. The Tilt looks insane! I haven’t done that one. I need to check it out. I like the Ledge for the views and fun photo ops but it scares me to death lol. This is a perfect itinerary for The Windy City. Safe Travels! No visit to the Art Institute or the Field Museum? Seriously? Hi Shay! The Field Museum was on my list of places I had wanted to visit when I was in Chicago but ended up running out of time, so I didn’t want to recommend a place I have never been to. I definitely plan to visit it next time I’m in Chicago and will add it to the post if I enjoy it. As for the Art Institute of Chicago, it just wasn’t something that personally interested me. However, I know it’s highly rated, so for people who are more interested in art, I’m sure it would be a fantastic experience.